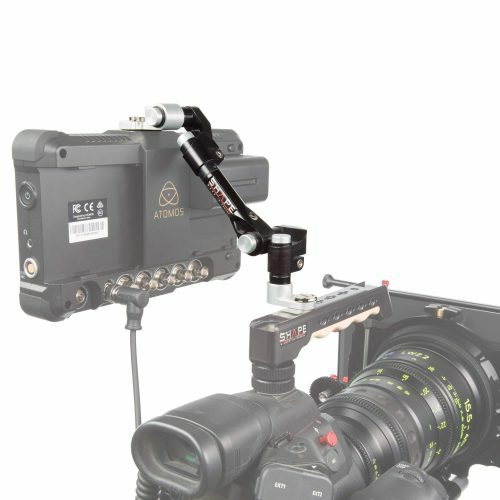 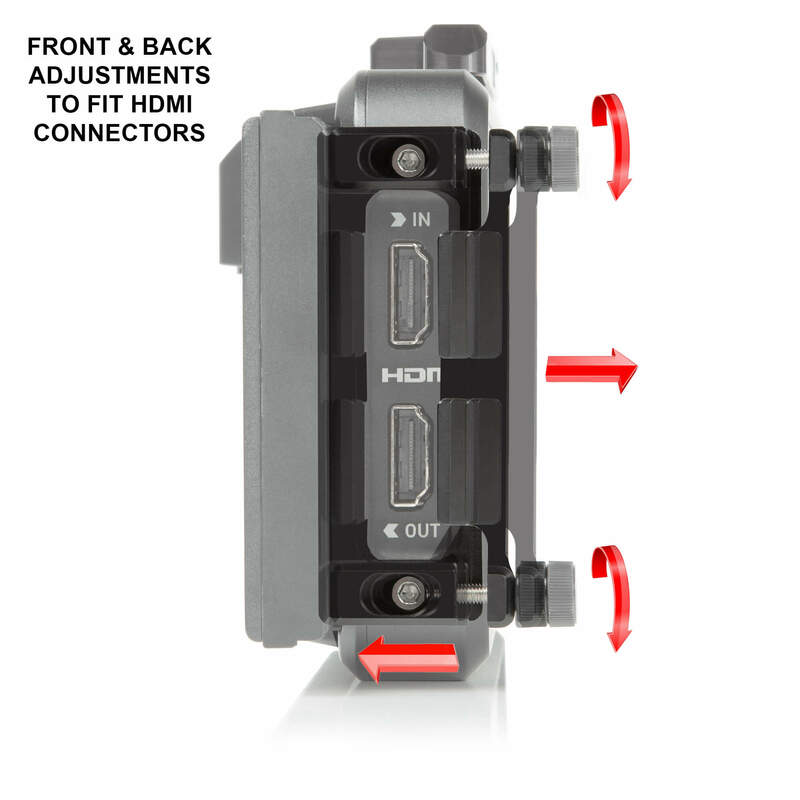 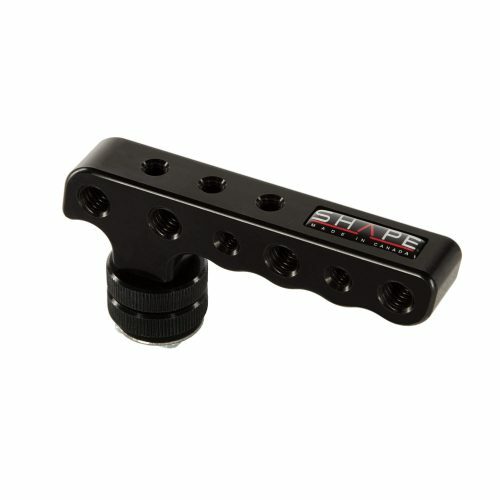 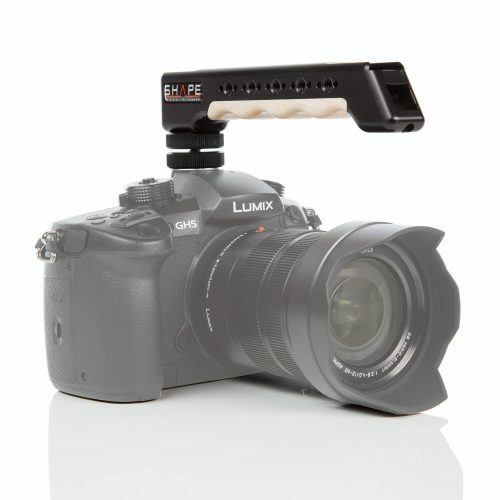 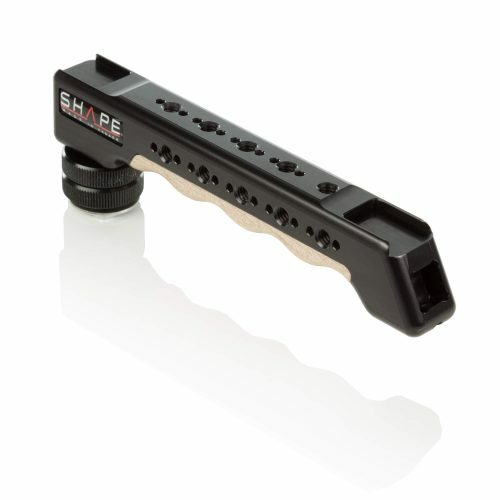 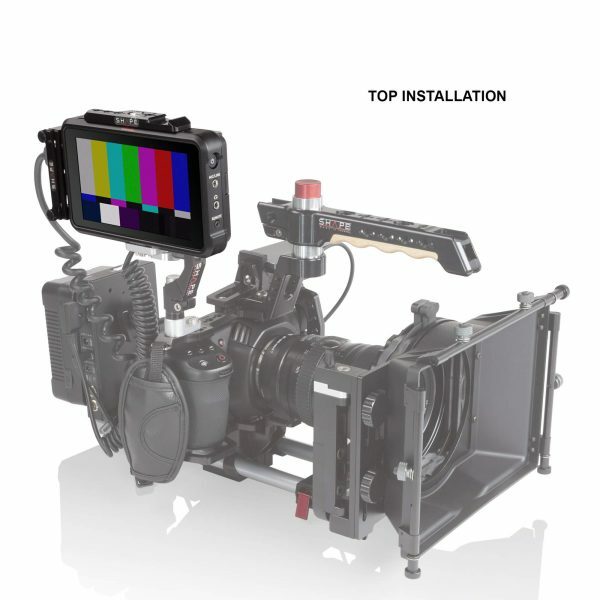 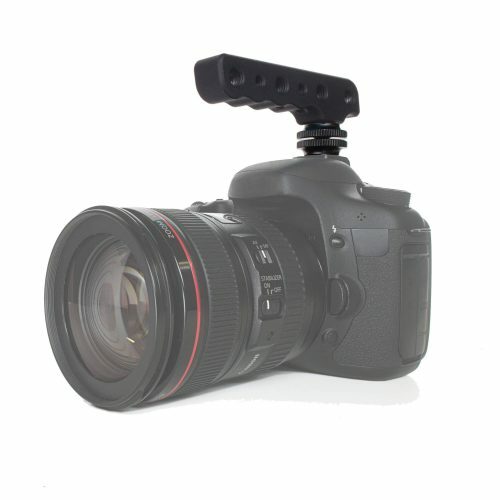 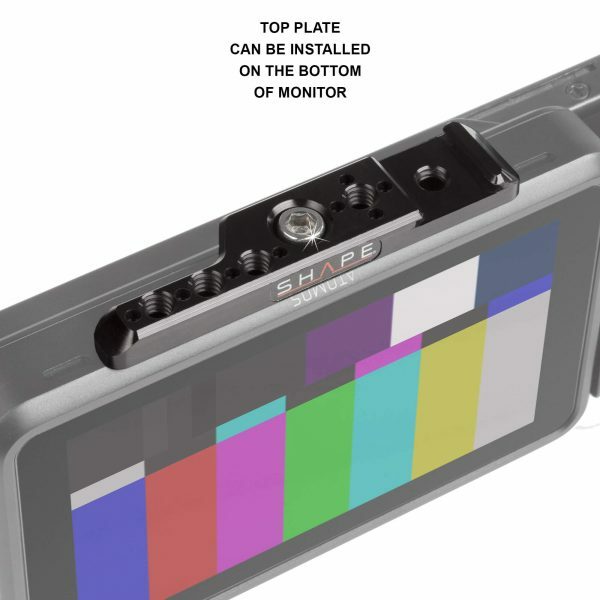 Add accessories and protect your HDMI cables with this HDMI Lock System and Top Plate Kit from SHAPE designed specifically for the 5″ Atomos Ninja V. The top plate provides 1/4″-20 threads and a cold shoe mount, and the adjustable HDMI lock system provides protection for the HDMI in/out cables. 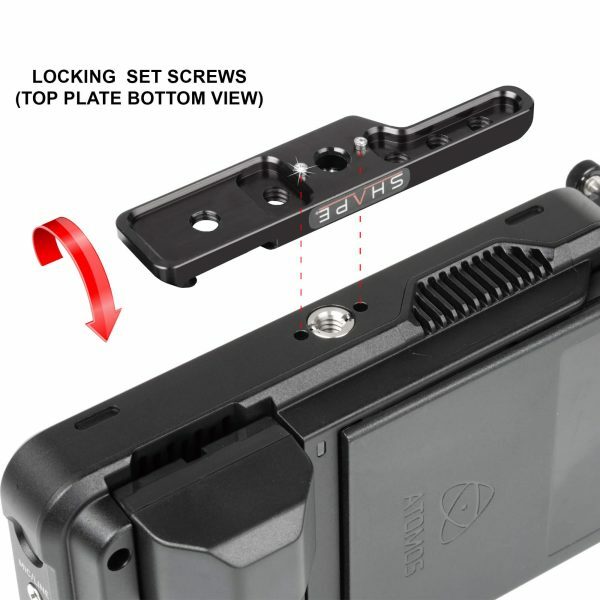 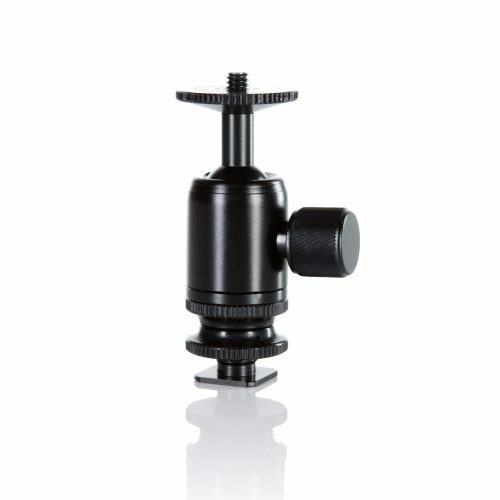 Both items are made of CNC-machined aluminum and are secured with captive screws. 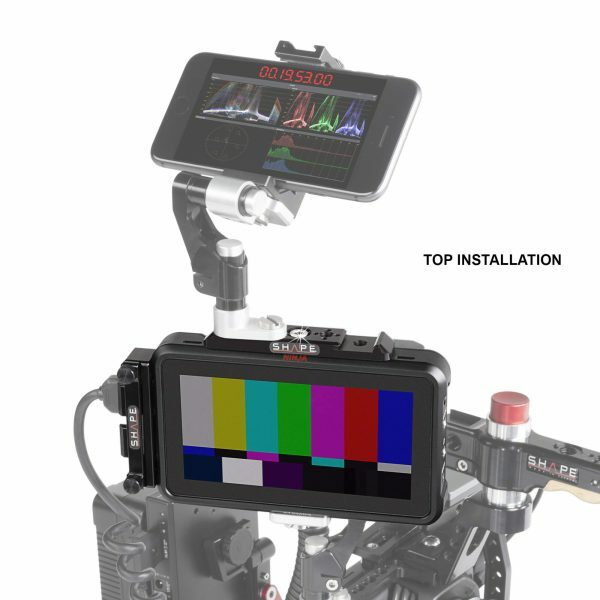 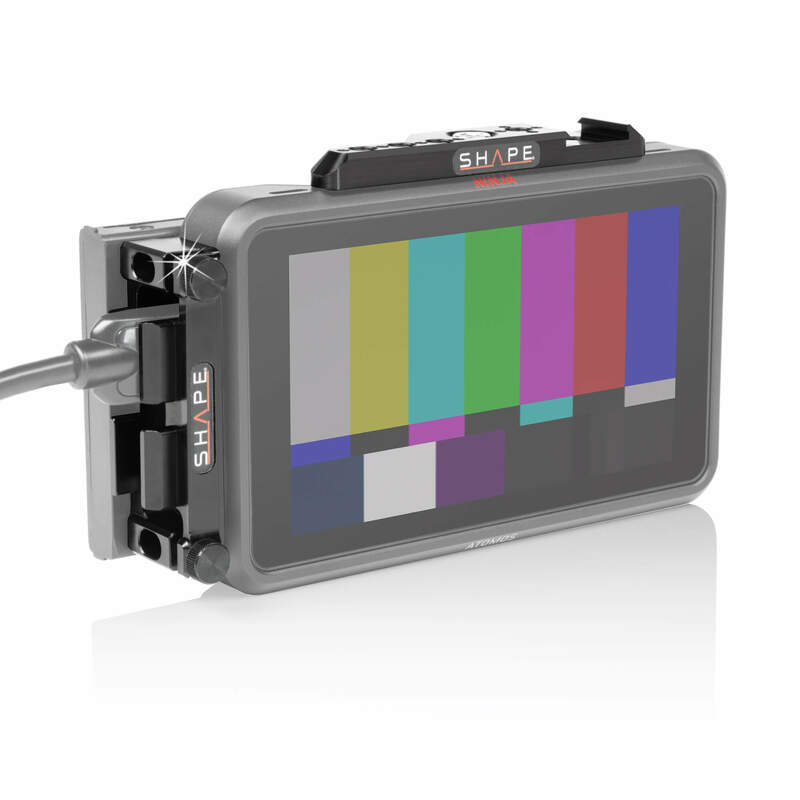 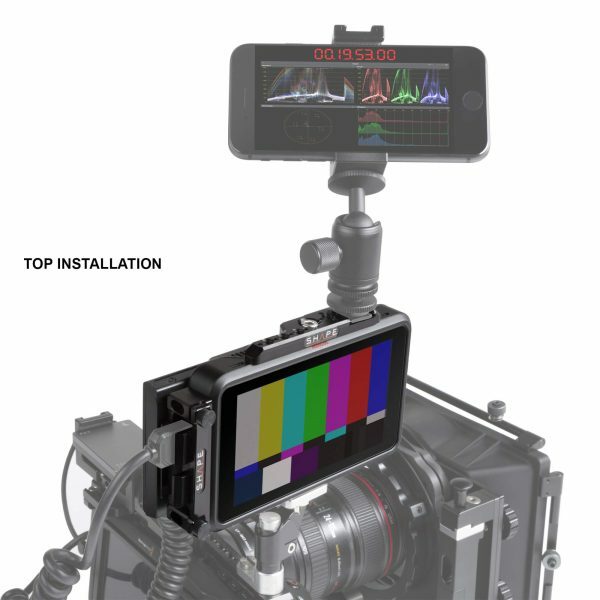 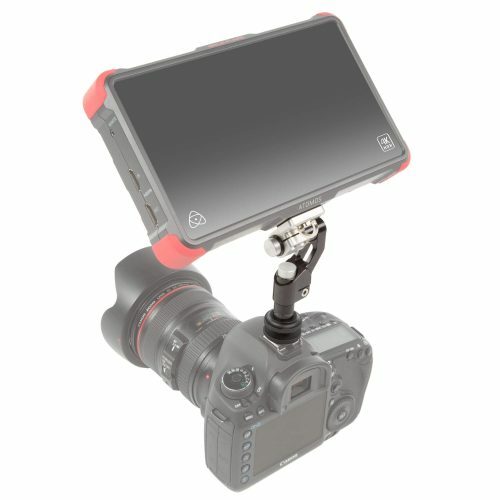 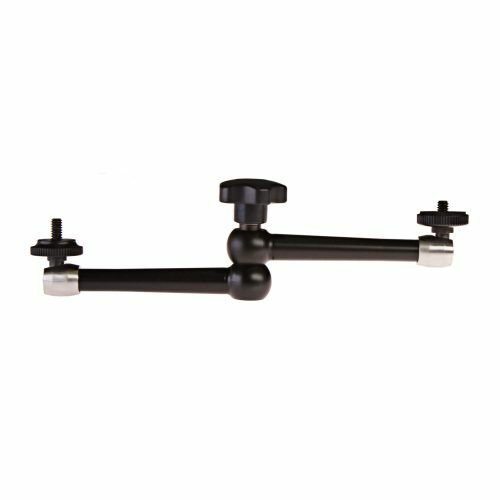 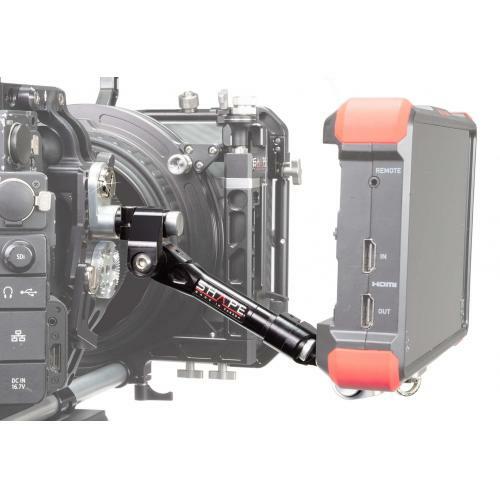 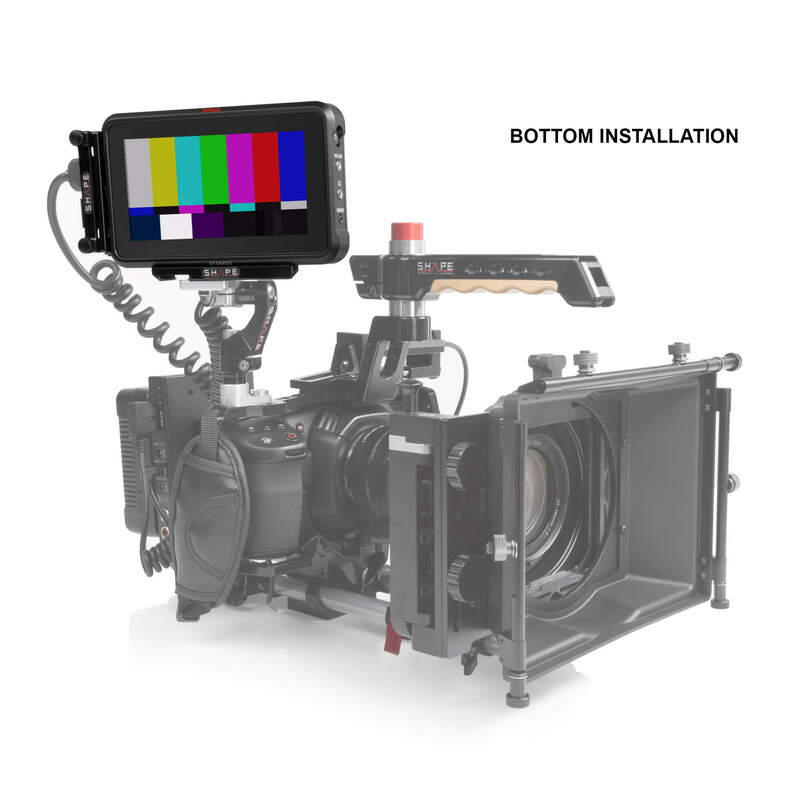 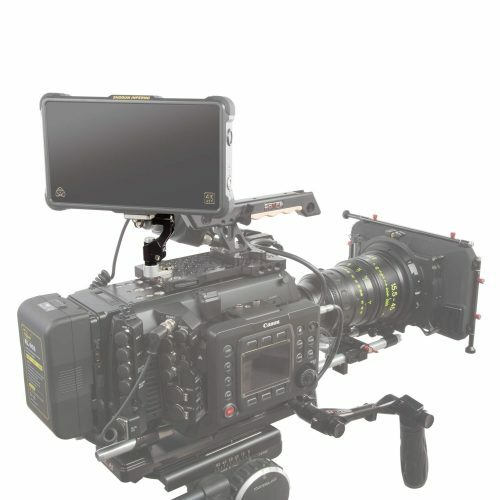 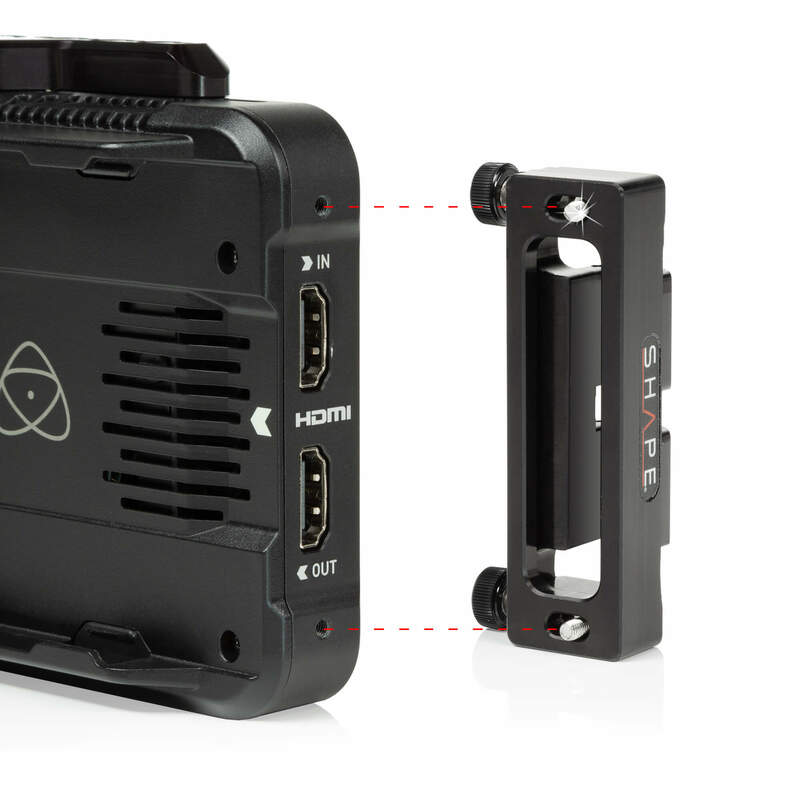 Use the HDMI Lock System from SHAPE to protect and lock the HDMI in and out cables on the side of the 5″ Atomos Ninja V Recording Monitor. 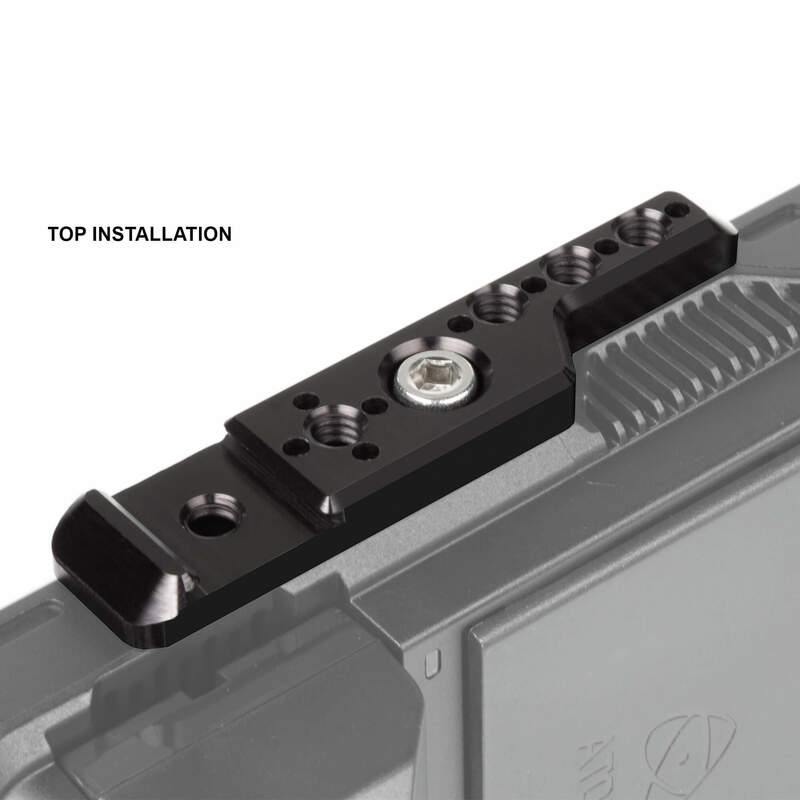 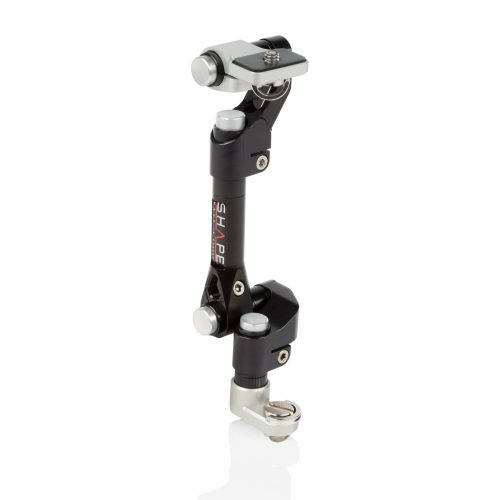 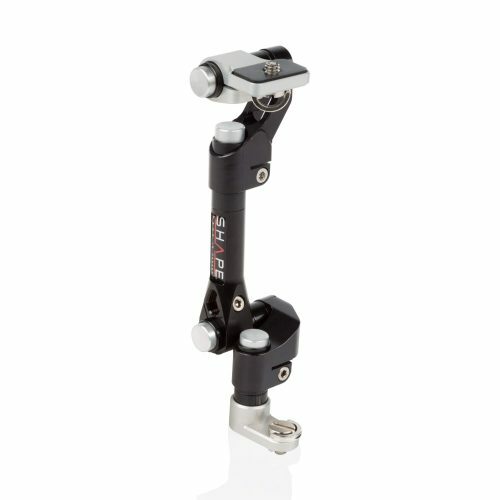 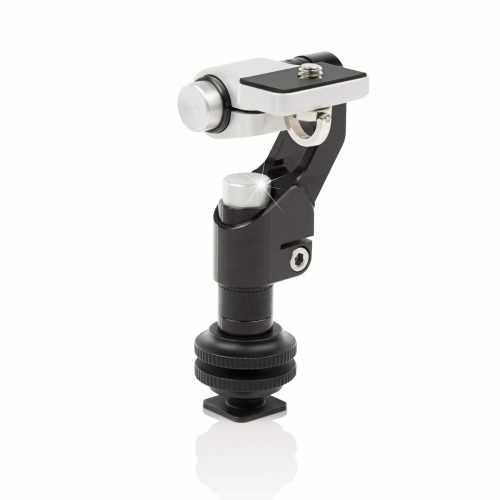 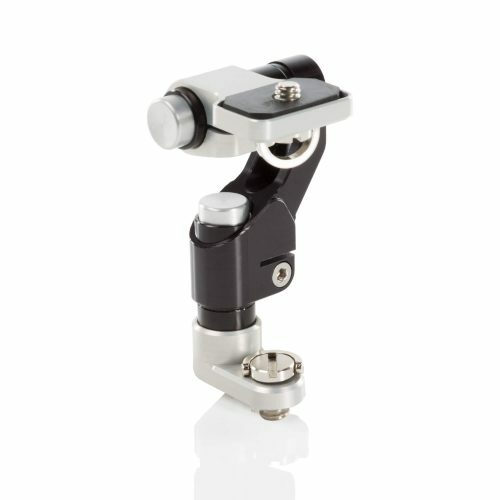 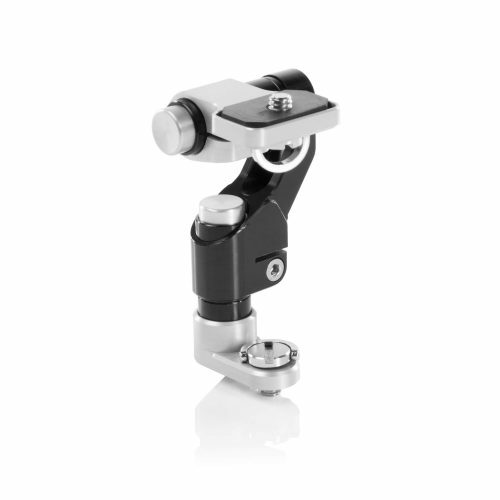 Made of lightweight CNC-machined aluminum, the main bracket connects to the Ninja V with two custom-fit screw holes. 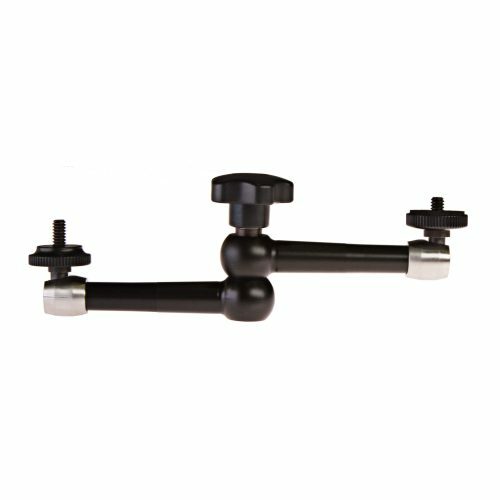 The system features adjustable brackets to fit your HDMI cable size, and two captive thumbscrews are included to secure the cables tightly. 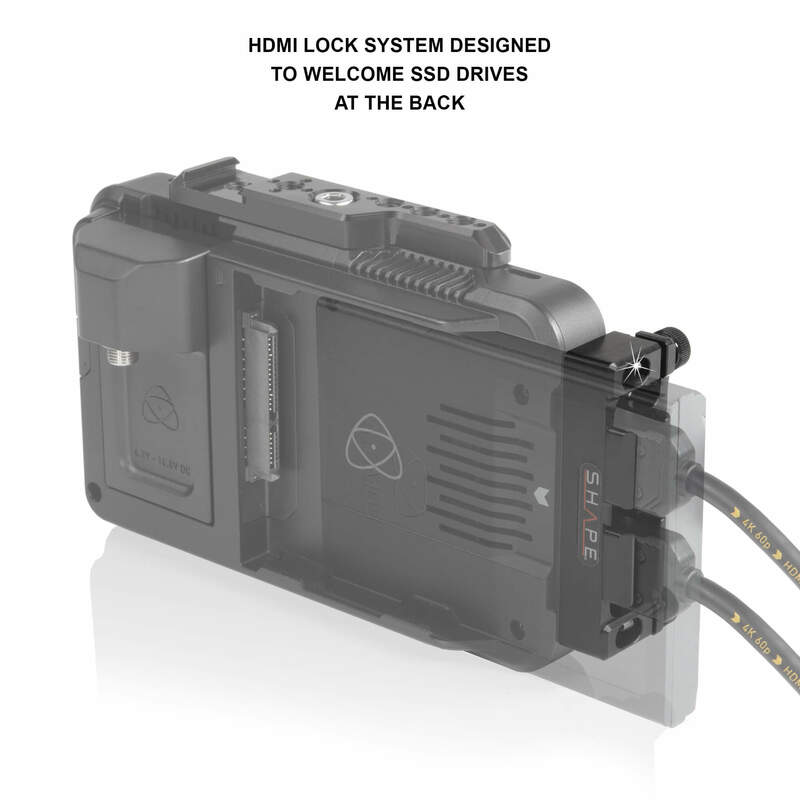 The lock system keeps SSD drive access clear, and it is also compatible with the Atomos Sun Hood.